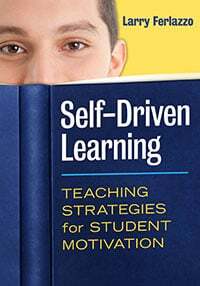 This blog is designed to support and follow-up a book that was published in 2009 about engaging parents in school (you can get a preview of the book by reading this article). I’m a high school teacher in Sacramento who spent nineteen years working as a community organizer. 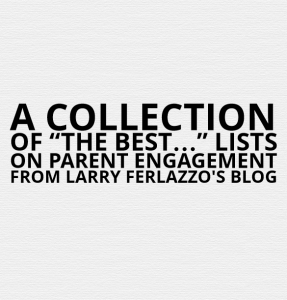 You might be interested in seeing my popular resource-sharing blog, Larry Ferlazzo’s Websites Of The Day. I have being doing a literacy home visitation program to Hispanic families of preschoolers for the last two years. We do everything (reading, talking, writing) in Spanish in the home. Two of the children started kindergarten this year as fluent readers in both Spanish and English. I am in the process of incorporating as a non-profit to expand this local program. I want to receive this blog to my email each time you update. Thank you for connecting me to these fabulous resources! Connie M. Montgomery, Ph.D.